Over the years we have posted many tax evasion stories. Most involve taxpayers who get in over their heads and soon find themselves in deep trouble. They aren’t necessarily bad people, just people who made a mistake or got a bit greedy. Then there is 71-year-old Lloyd Irving Taylor, now headed to prison for the next 57 months. Taylor was found guilty this week earlier this year by a federal jury in San Diego. Jurors convicted him of 19 felonies including tax evasion and aggravated identity theft. Prosecutors say that he used stole the identities of dead children to help him evade federal income taxes. 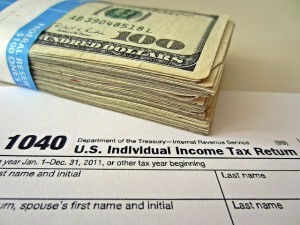 The IRS claims that in 50+ plus years as an adult, he filed tax returns in just 7 years. Taylor was both a CPA and tax attorney! Taylor used the identities of the deceased children as aliases to obtain fraudulent passports and other identification documents. He then used the fraudulent passports (which he obtained from U.S. Embassies throughout Europe) to open offshore bank accounts to hide his income and from the IRS. If exploiting elderly blind women and dead children wasn’t enough, prosecutors say that he created fake churches too. Those helped him exploit tax exempt donations. Prior to going to trial, Taylor filed a novel motion with the court seeking to exclude anyone from he jury pool that had a “financial stake” in the trial’s outcome. He belived that jurors who are government employees, those receiving Medicare or social security and even people whose mortgages are backed by the government (99% of homeowners) or whose employers have ever done government work are incapable of being unbiased. Like the quick work by the jury, the court immediately denied the motion. In addition to spending the next four and a half years in prison, Taylor must also pay $2.2 million in restitution. Normally, we can extract some good lessons from most tax evasion prosecutions. This case, however, is simply a lesson in how to be a menace to your fellow man. Did Taylor cause physical injuries to anyone? No. But he used his position as an officer of the court to exploit families, the elderly, the blind, religion and dead kids. We aren’t quite sure what Taylor may have done for an encore if not arrested. As noted above, most people accused of tax evasion are people that made mistakes and are entitled to all the help we can muster. As criminal tax lawyers, we help folks make amends and get back on track. If that sounds like you, give us a call. We represent people under investigation or accused of a wide variety of tax crimes including false tax returns, failure to file returns, tax evasion and money laundering.